Surya has been a famous brand name in the world of home appliances. Trusted for years, Surya is known to produce quality goods that are durable and long lasting. 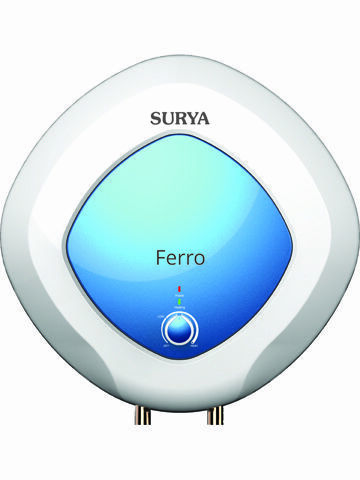 The Surya Ferro Storage Water Heater Glass Line 15L storage is one of a kind water heater. It has bold looks and is compact in size. It is a storage type and thermostat water heater. It has a heavy gauge tank. It is supposed to be IPx4, splash proof. Some of the other features that make it a truly amazing water heater are given below.